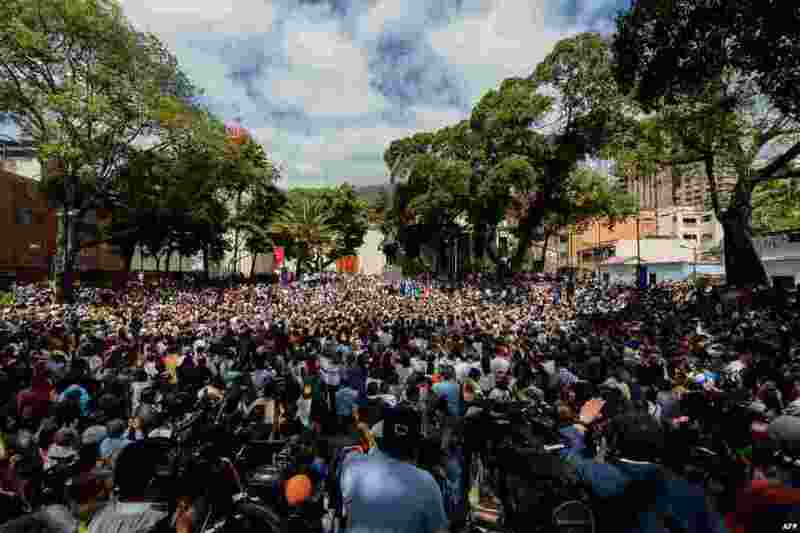 1 Opposition supporters gather to listen to Venezuela's National Assembly head and the country's self-proclaimed 'acting president' Juan Guaido, at Bolivar Square in Chacao, eastern Caracas. 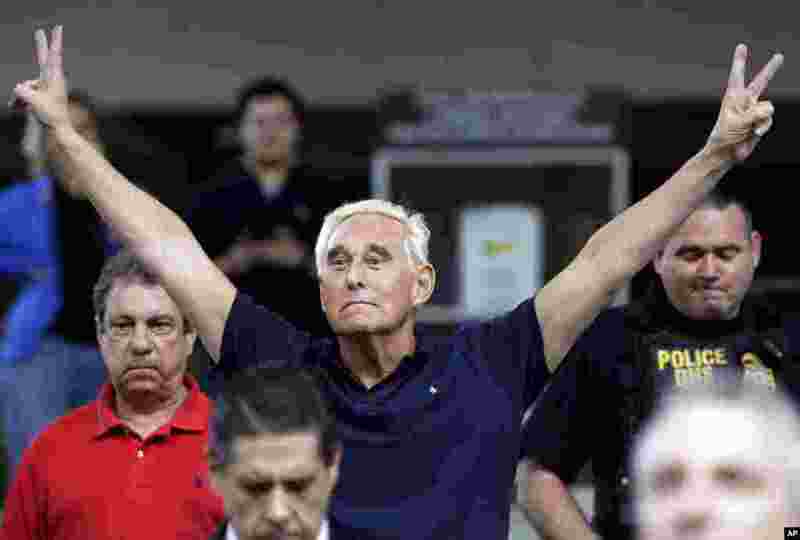 2 Former campaign adviser for President Donald Trump, Roger Stone walks out of the federal courthouse following a hearing in Fort Lauderdale, Fla. Stone was later charged on several counts, including obstruction of an official proceeding, making false statements, and witness tampering. 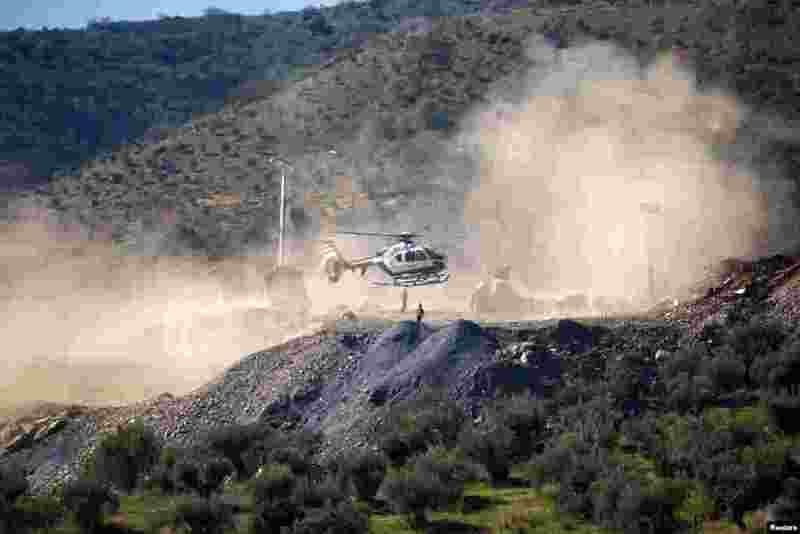 3 A Spanish Civil Guard helicopter carrying boxes with explosives picked in Sevilla lands at the area where Julen, a Spanish two-year-old boy, fell into a deep well twelve days ago when the family was taking a stroll through a private estate, in Totalan, southern Spain. 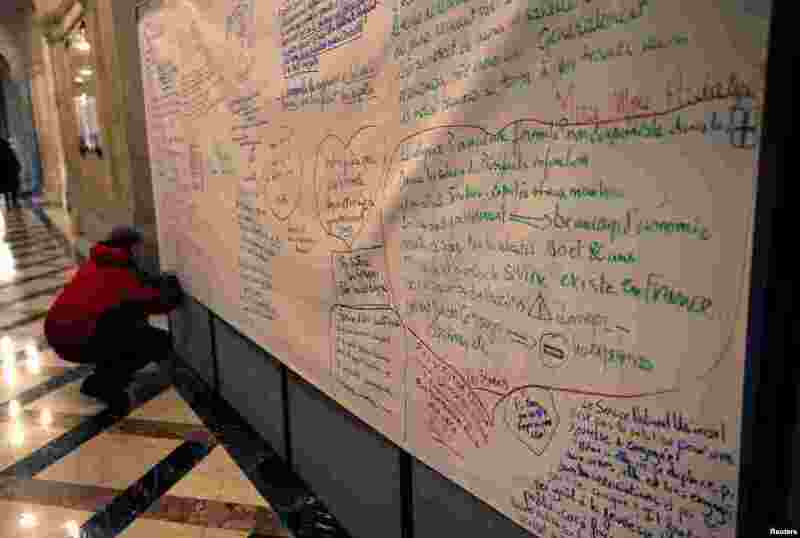 4 A man writes ideas on a board after attending a session of the 'Great National Debate' at the city hall in Paris, France.